The process of applying to become a rabbi has, oddly enough, made me want to write more, despite the pages of essays I’m meant to produce. I’ve blogged irregularly at various times in the past (so a fair amount of the archives are from past attempts), but my application to — and presumed enrollment in — rabbinical school has made me want to try again. I think I’m going to want a record of this time. And I have enough chutzpah to think that others might want to read about it, too. And when I started thinking about trying again, I knew I had to talk to my friend Emily. Besides being an internets expert, Emily is just a good person to know in D.C. — and not in that typical Washington way that’s usually meant when someone is described as “good to know,” where you inevitably find yourself sucking up to some odious Hill staffer. Emily’s good to know because she has lots of opinions and she knows everyone. So in the unlikely event that she doesn’t have expertise in an area, she can connect you to someone who does. Plus, she’s a shot of infectious enthusiasm. I told her what I wanted to do, and she immediately exclaimed, “That’s an awesome idea!” I am grateful for her encouragement, and this blog has already benefited from her experience and guidance. In the Firefly episode “War Stories,” mechanic Kaylee chases around child prodigy River for taking her apple. (In Firefly‘s distopian world of the future, tightly controlled by a pan-universe government called the Alliance, fresh fruit is a rare commodity.) 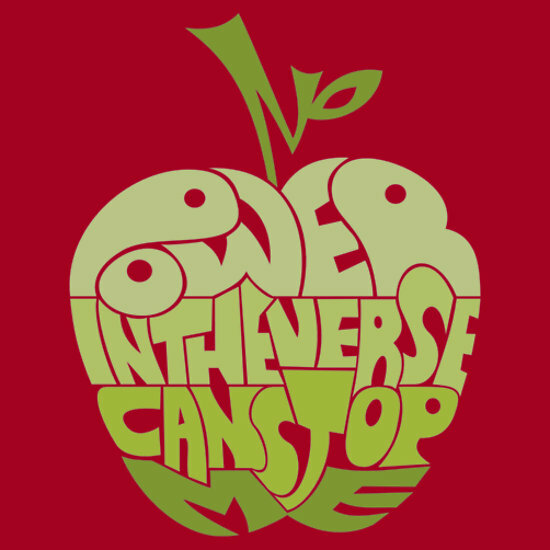 Kaylee manages to get her apple back, at which point she raises it above her head and giggles, “No power in the ‘verse can stop me!” I choose this phrase for the name of my blog because I hope it’s true for me, particularly as I embark on my new career. The phrase takes on a more sinister bent later in the episode when River is revealed to be an Alliance sleeper assassin: She fires three fatally accurate shots from a pistol after only a single quick glance into the battlefield. In a chilling echo of Kaylee’s earlier playfulness, River turns to Kaylee and raises the gun above her head: “No power in the ‘verse can stop me!” she declares.